I always like exploring new places on the Oregon Coast. This rock crevice looked to be about four feet deep and five feet wide, it's surrounded by mussels and barnacles. 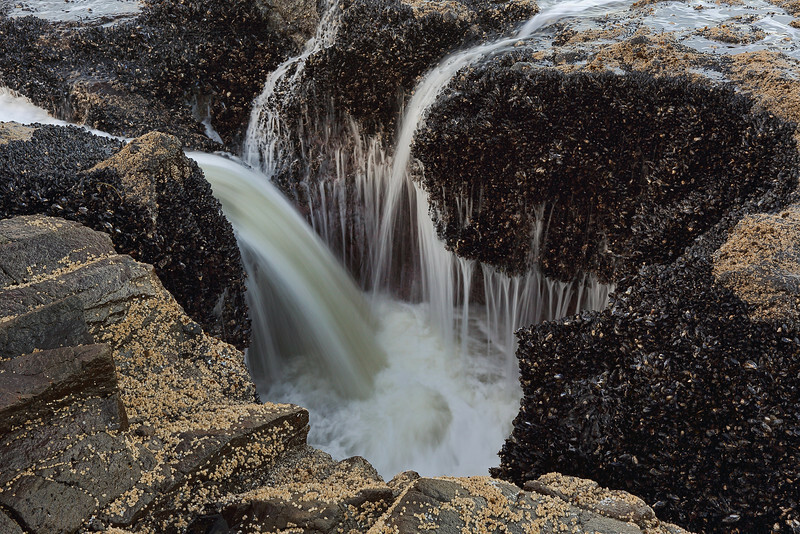 The water flows over the top on an incoming tide and quickly pours down into this little bowl before gradually returning to sea. Like the different ways the water is flowing. I've never seen this one before. How creative.